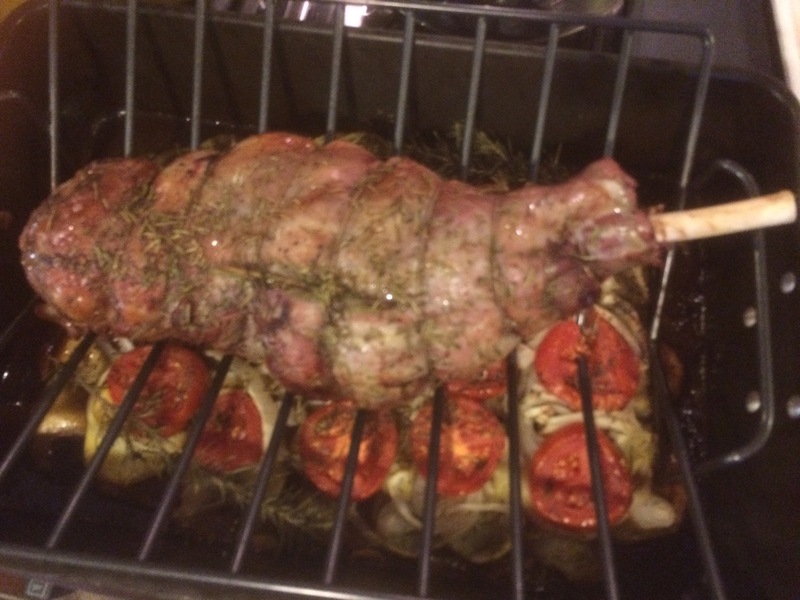 Home › Academy Awards › 2015 Holiday Provencal Lamb Feast! 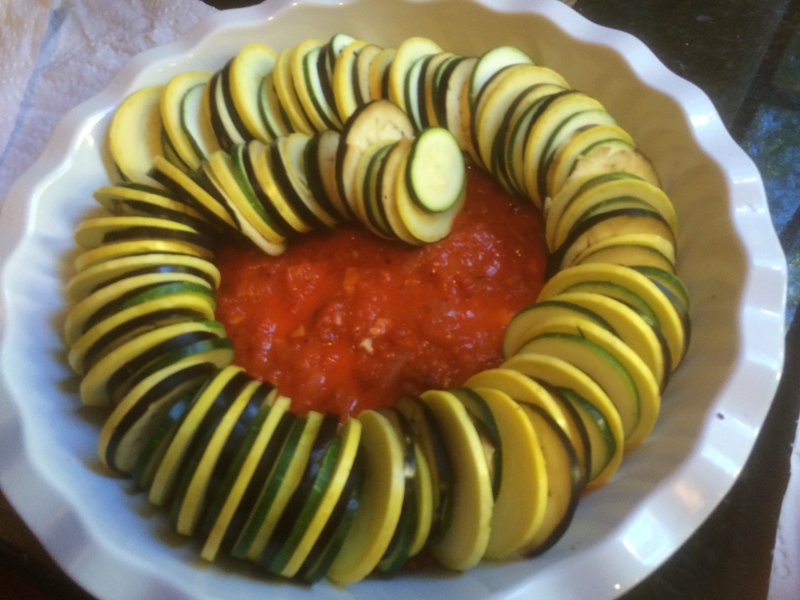 Patricia Wells Recipe! “Gigot D’Agneau” To You! Great Cooking Adventure! 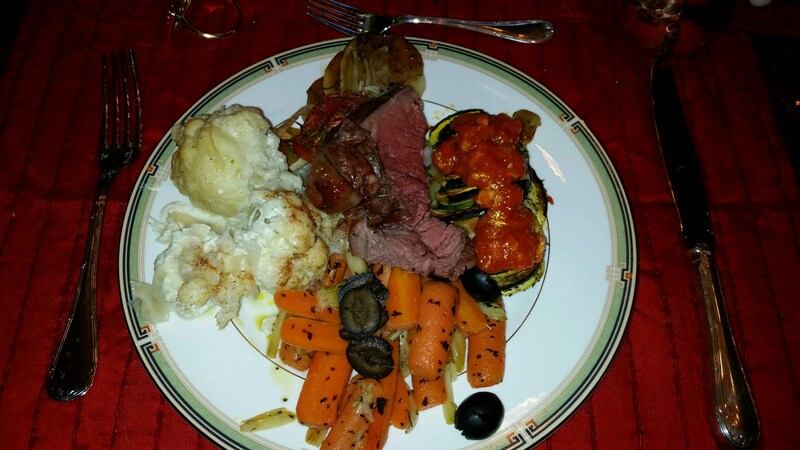 Time To Share An Amazing Holiday Feast! 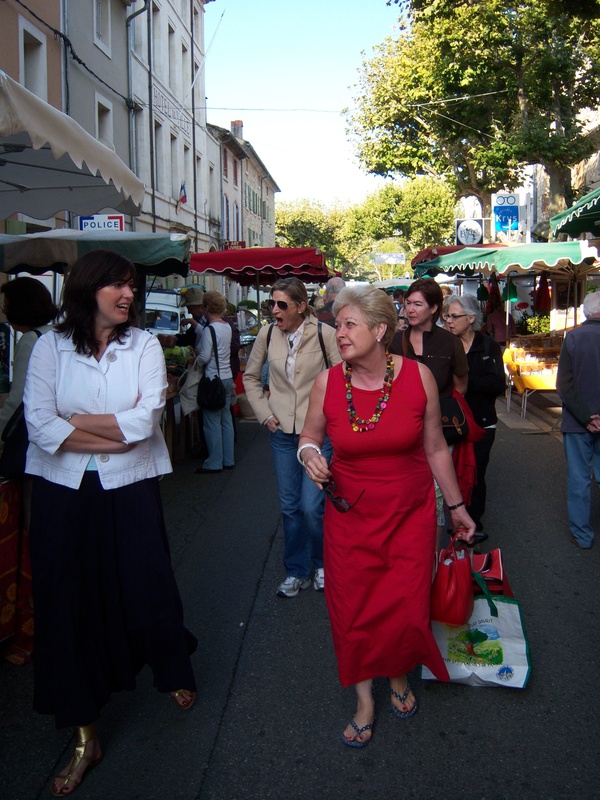 If you are looking to bite into something different this holiday season – time to go provencal! This is “Gigot D’Agneau” – and it’s my favorite holiday meal, thanks to the incredible Chef / Author Patricia Wells! 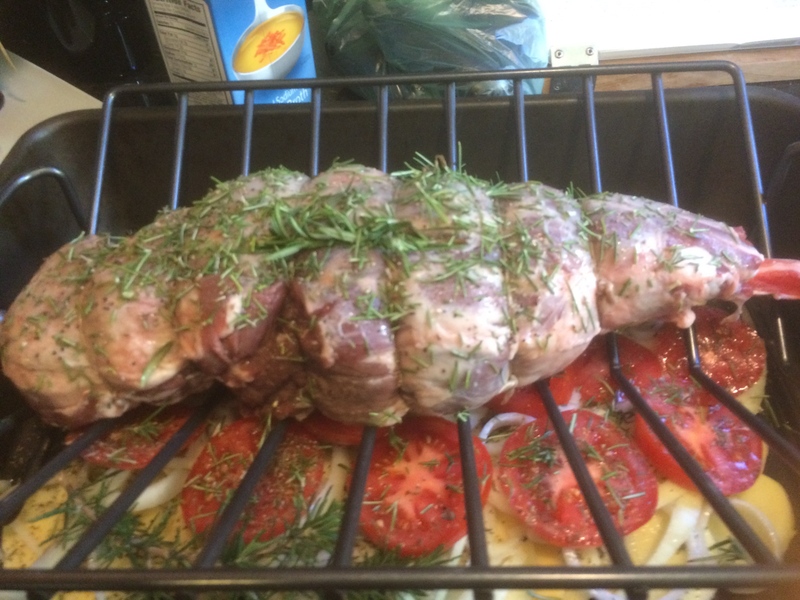 Making “Gigot D’Agneau”, inspired by Cookbook Author and Food Writer Patricia Wells! 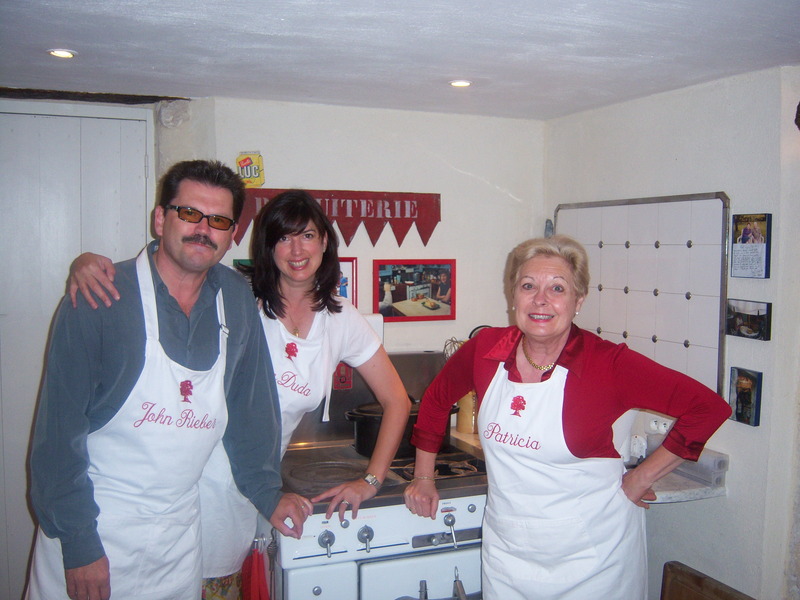 Alex and I got the chance to cook with Patricia at her house in Provence – an adventure of a lifetime! Yes, this is me stealing a bite of food under the watchful eye of Patricia Wells. 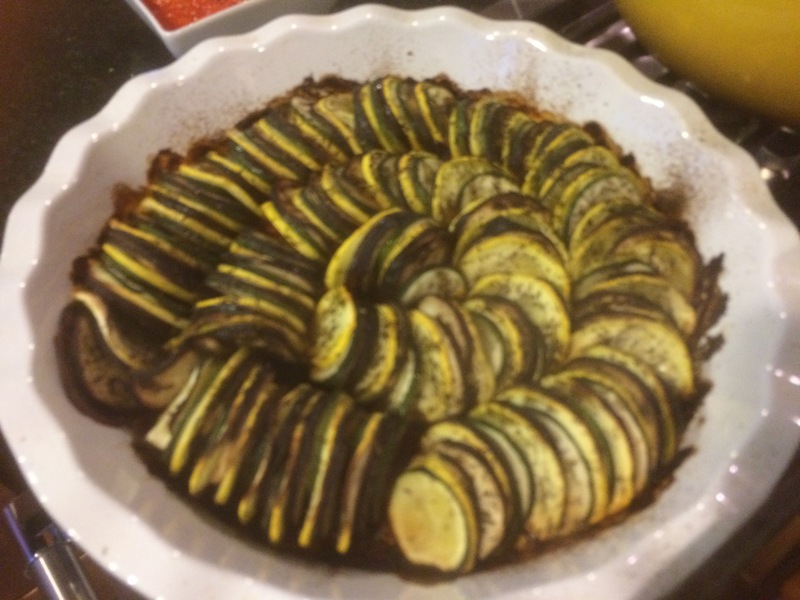 It was all part of a cooking adventure with the Author, who hosts cooking classes at her house in Provence, France. 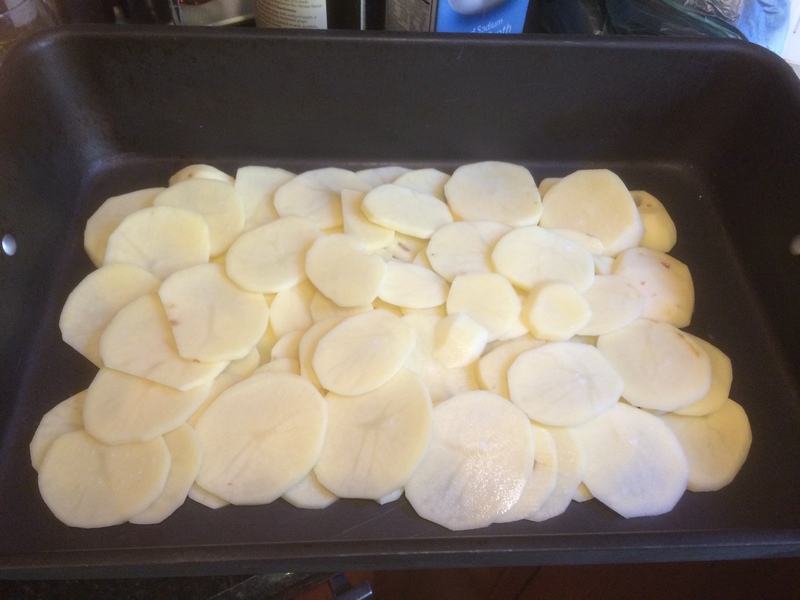 It inspired me to make my family her classic roast lamb shank, which is baked on top of potatoes, onion and tomatoes so that the incredible juices from the lamb soak into the gratin! Time For A Provencal Feast! 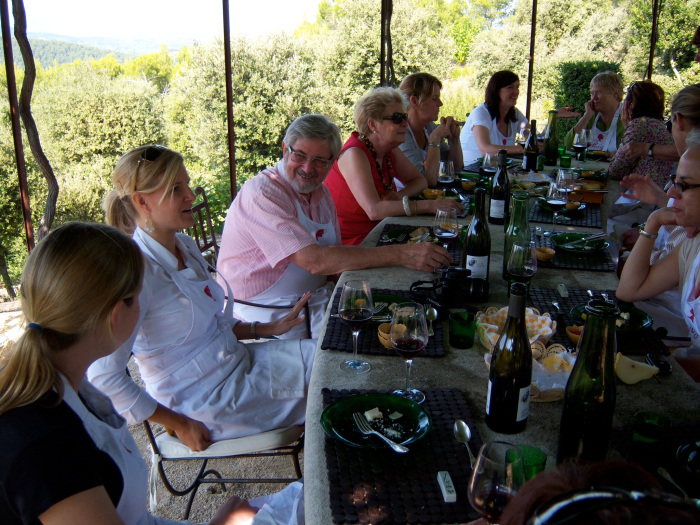 This is a great family feast that evokes the best of Provence! 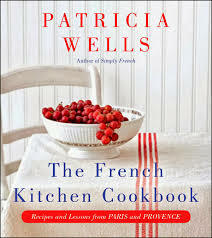 Thanks to Patricia Wells and all of her incredible cookbooks, you can travel to the south of France yourself! 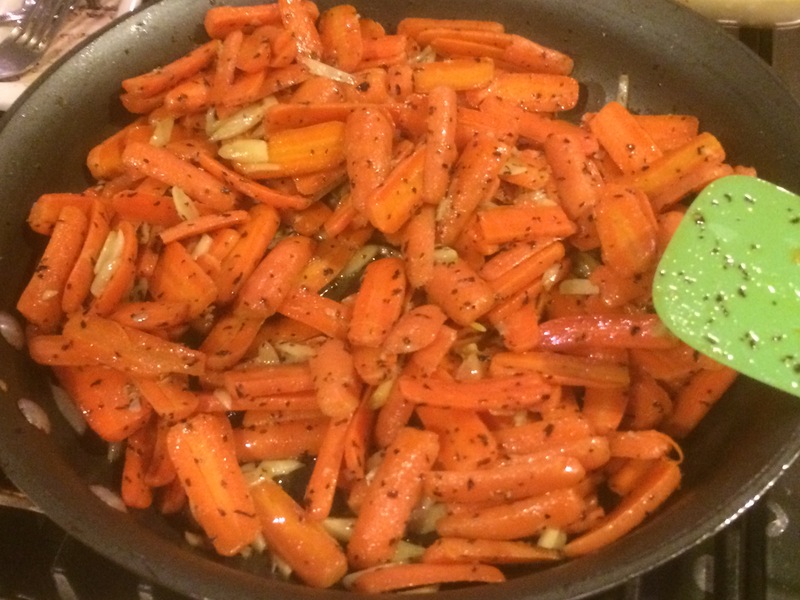 Let make a roasted lamb shank with provencal vegetables! 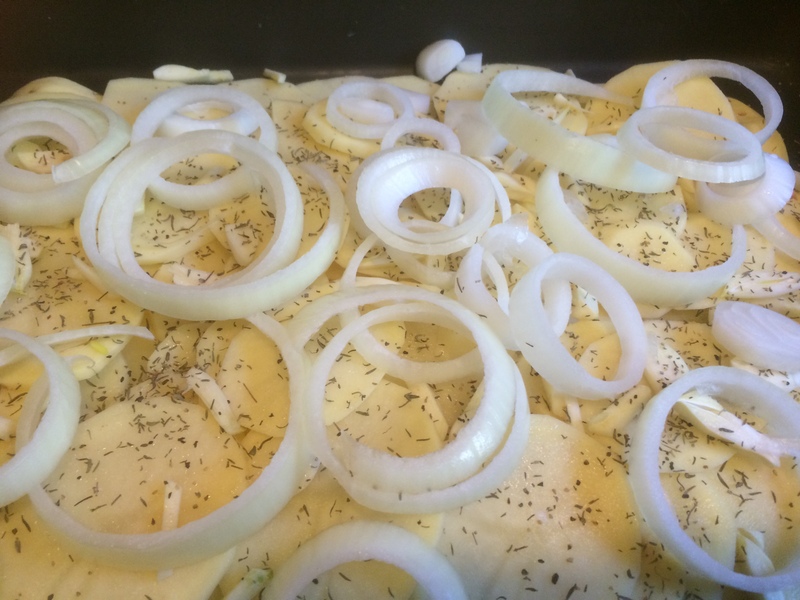 First, preheat your oven to 400. 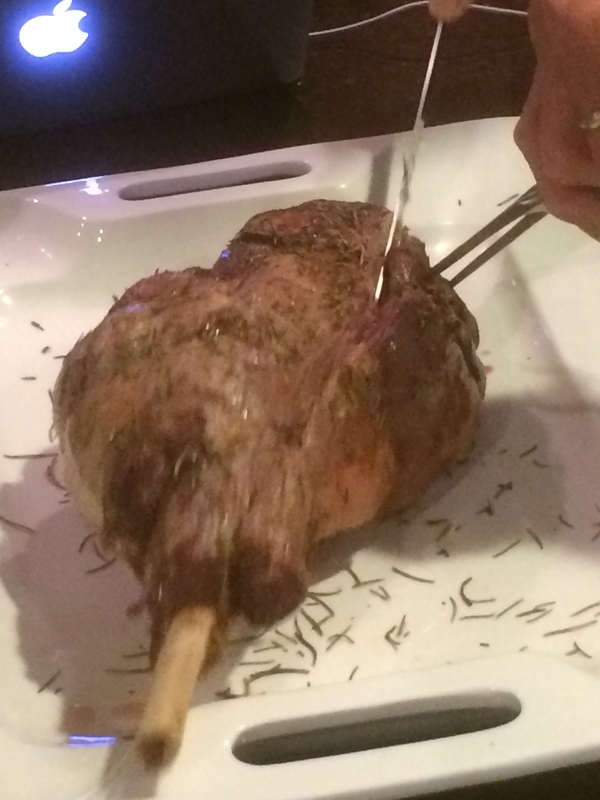 I roasted the lamb for about an hour and fifteen minutes…the thicker part was medium rare and the smaller side of the shank was medium, so it worked well for everyone! 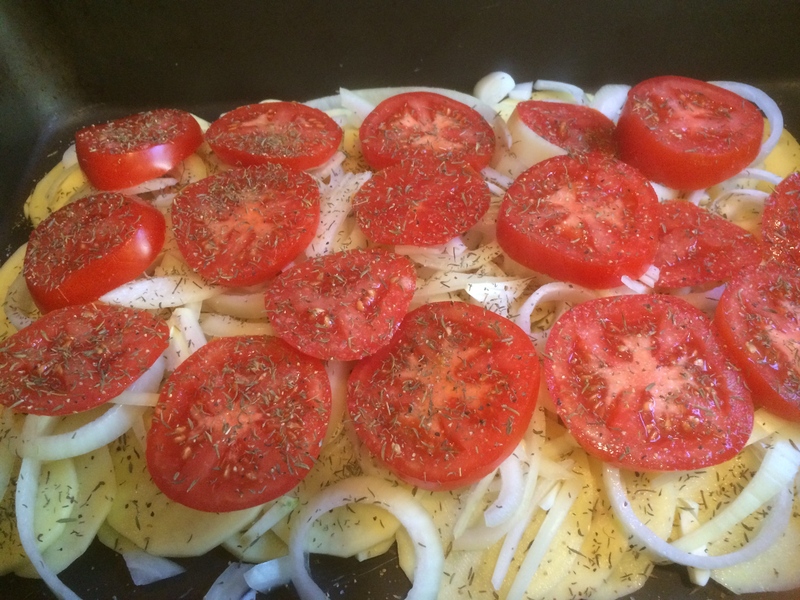 And here is what that beautiful potato-onion-tomato looked like underneath…. 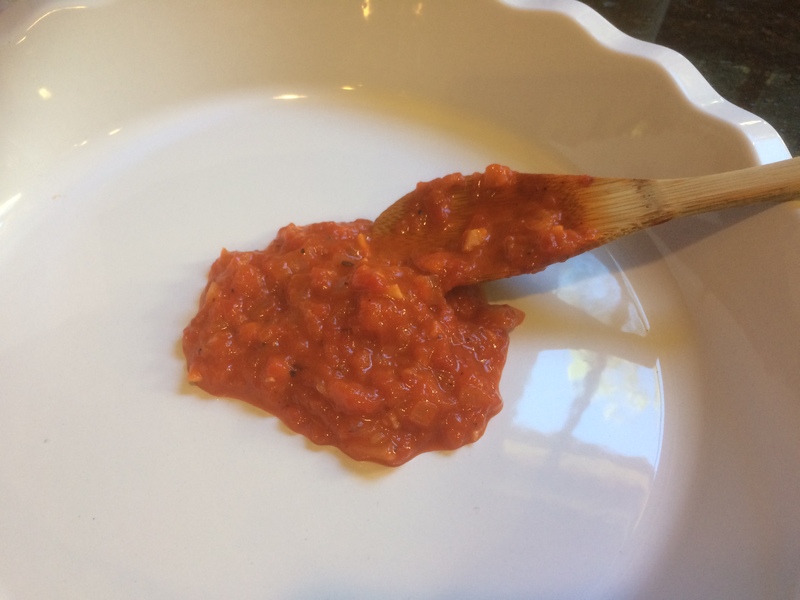 I began by making a roasted red bell pepper sauce, which I spread on the bottom of a gratin dish…. 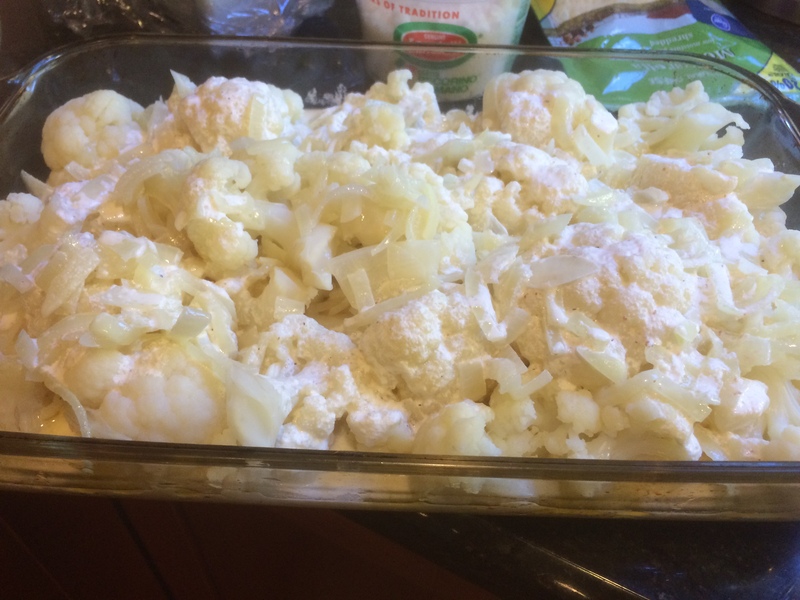 Now Comes The Cauliflower Gratin! 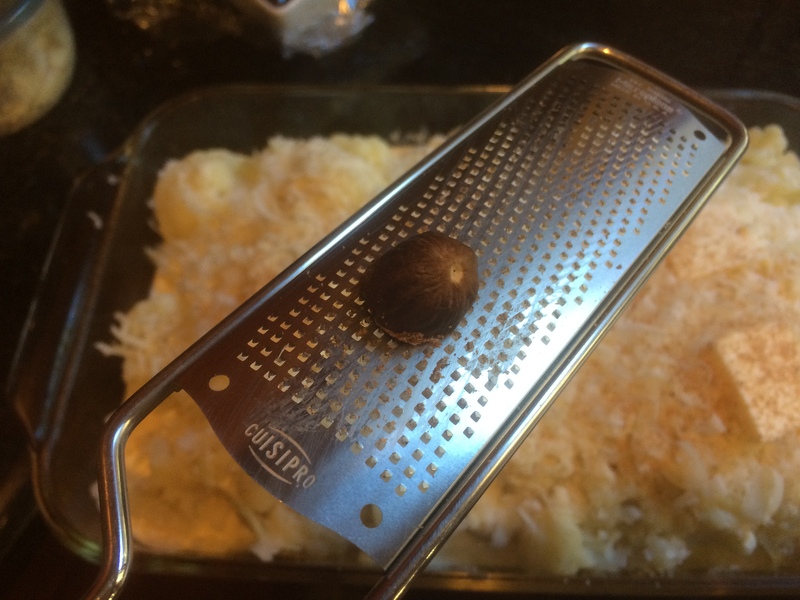 One last delicious touch before baking: before I put the cauliflower gratin in the oven, I grate fresh nutmeg over it…liberally…. 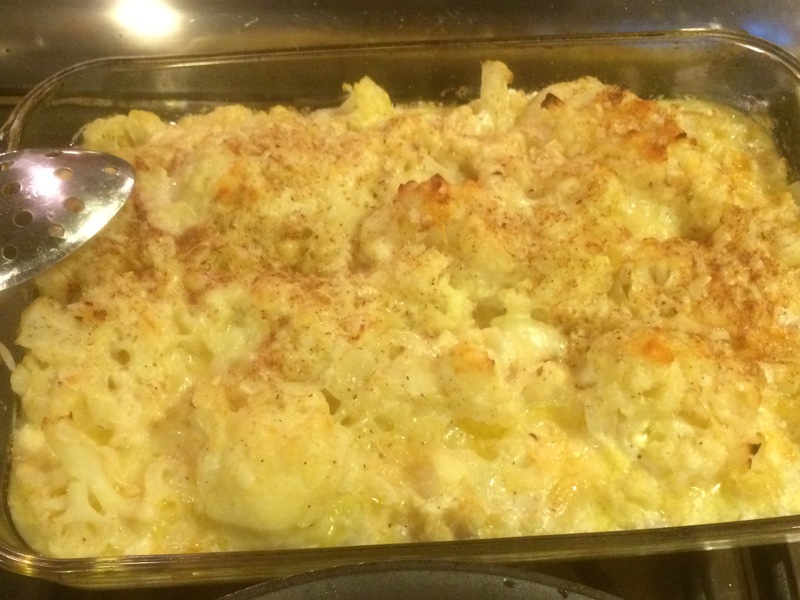 And here is how it looked coming out of the oven 45 minutes later…. 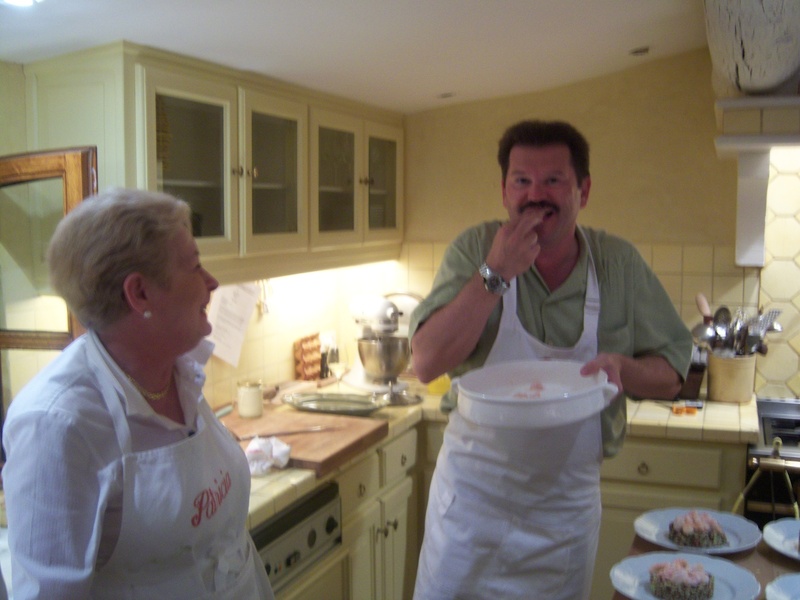 The couple open up their house several weeks a year for cooking classes – one that my wife Alex and I were able to attend in 2009. We spent 5 days with Patricia, Walter and ten other participants, a terrific group of people who shared our passion for food and adventure. 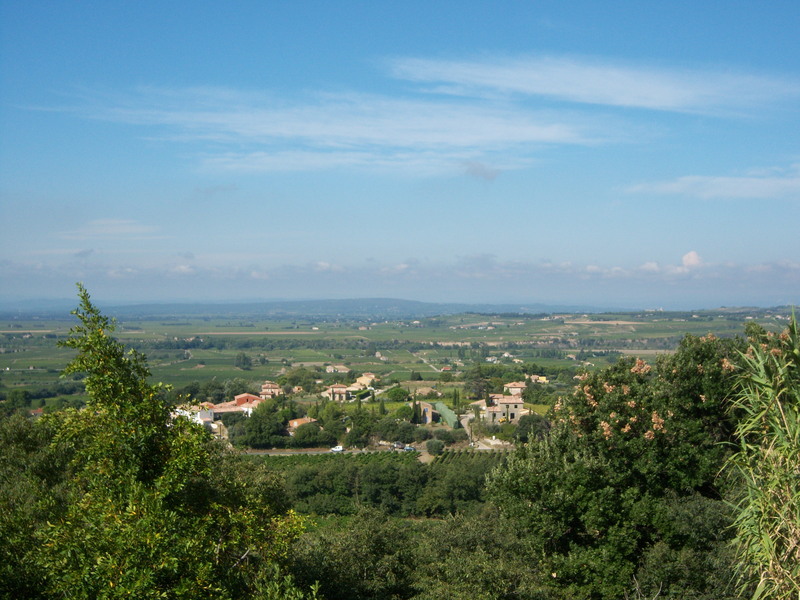 And since we were in Provence, we took time to explore the wine region as well! 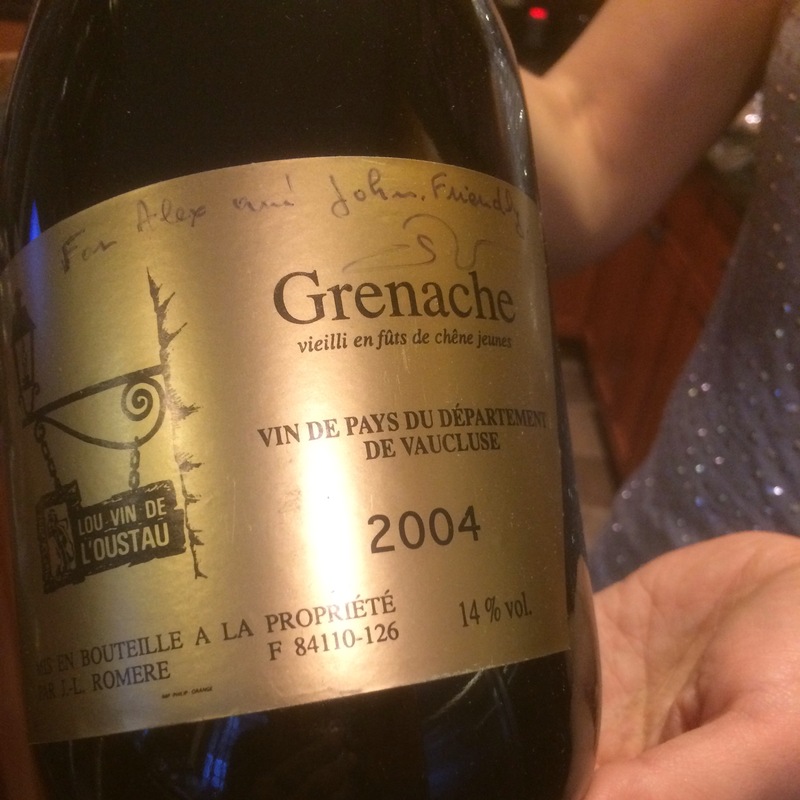 Time for a great meal and glass of wine! ‹ The Drive-In “Monster-Rama” Lives! Scary Movies In Your Car! 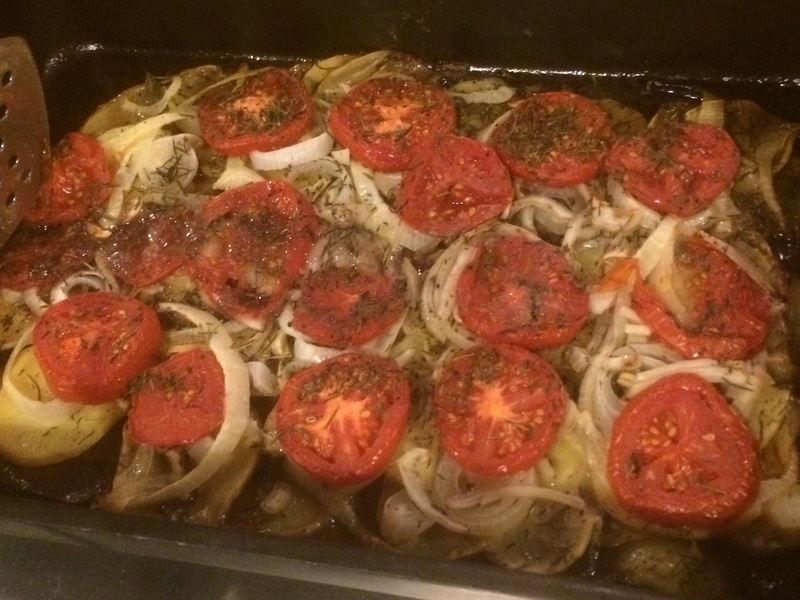 Thanks for sharing it – agree that veggies, onions and while garlic under the meat means a delicious side dish right there! I also think this, like Turkey, tend to only be prepared for holiday, and that’s a shame! 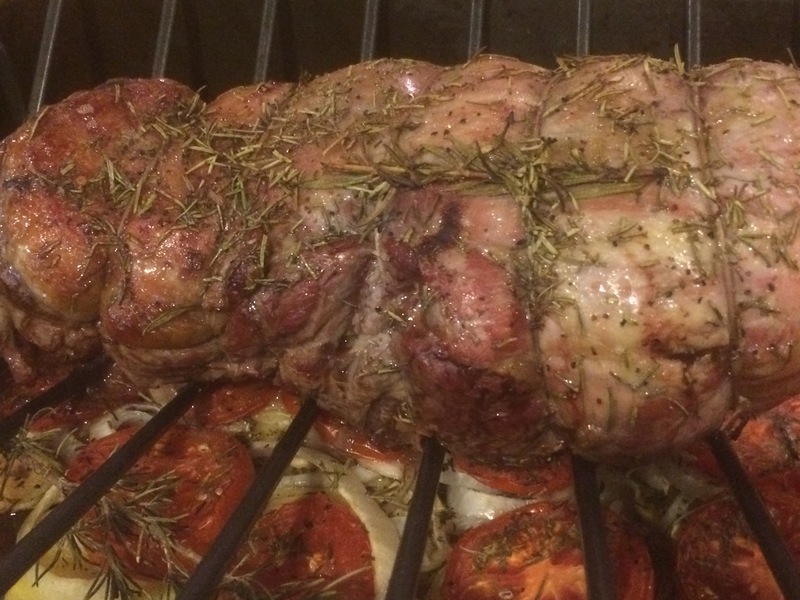 Here’s a provencal way to celebrate this holiday season – Gigot D’Agneau!